1 About us – What is FABO? About us – What is FABO? Thank you for visiting Family Bond Network web site. 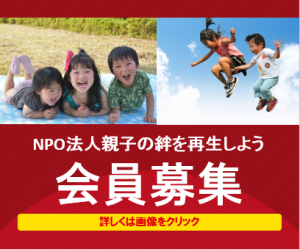 FABO, Family Bond Network, has been supporting left behind parents (LBPs) and monitoring judgement/behavior of family courts/attorneys in Japan. We have been approved as an NPO in April 2016 in Chiba, Japan and active to reunite parent-child bond that was destroyed due to divorce, separation or international child abduction by one parent. We organise a seminar and a free talk session every week to exchange information on Parental Child Abduction issues, over Web-based TV conference system. 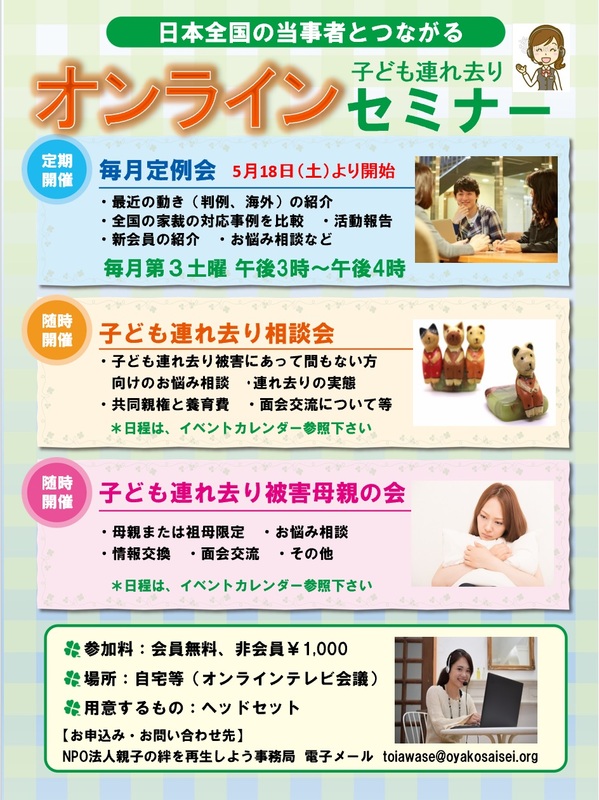 We are also available for interview or lectures in Japanese and English on the topics mentioned above. We are happy to provide more information, especially for mass media, on this topic. Please reach us from here. 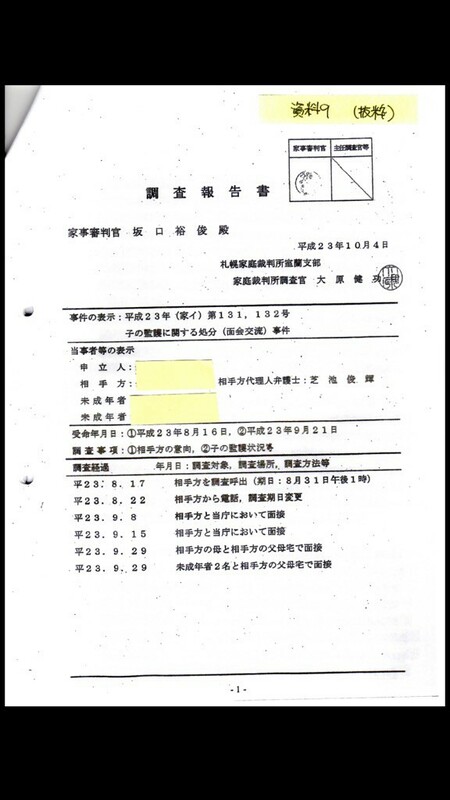 This report shown below is a trial visitation report approved and issued by Hirotoshi Sakaguchi, a former judge and Kenko Ohara, an investigator, at Family Court Muroran, Hokkaido, Japan. This censored visitation report gives no information about the child taken by one parent. In this case, the child at age 11 returned by himself to father’s place. This report was written prior to the child’s return. 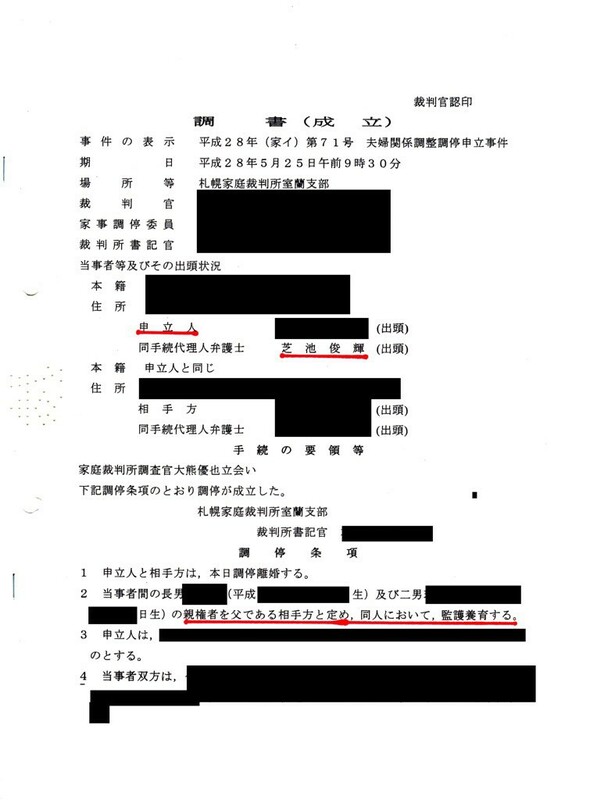 The reason for this terrible report is thought that the court, not expecting the child return to father, had to hide all forged descriptions, that intentionally tried to break the bond between the father and the child. 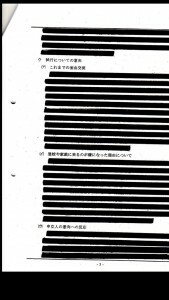 This censored report written by Hirotoshi Sakaguchi and Kenko Ohara has already been forwarded to Washington D.C. We think this family court mentality is the biggest obstacle not to move forward the Hague Convention.This is the clear violation against human rights. There exists a laywer who tries to follow the ugly mentality of the courts mentioned above and never tries to return the children to their original places. For information on those lawyers, please reach us using the Contact form below. Toshiteru Shibaike, attorney at law, Kotonoha Sogo Law Office. 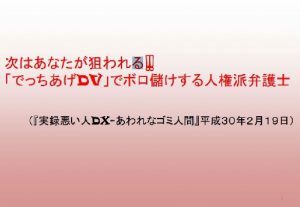 Shibaike tried to ban the visitation between an innocent father and a child against this child’s will. 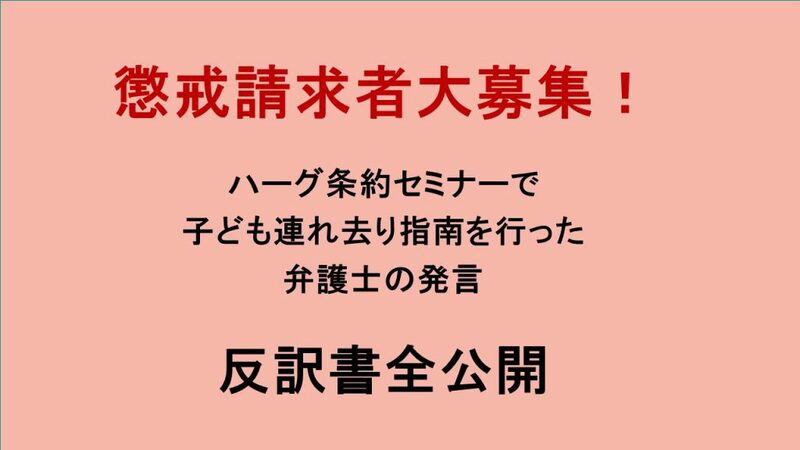 Shibaike was decisively defeated in the parental custody case and was forced to leave Tokyo Public law office. Also he was fired “Human Rights Now” in Japan. 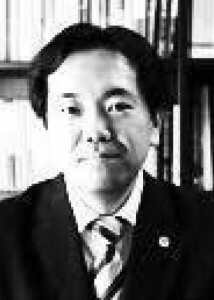 Toshiteru Shibaike was an attorney at Tokyo Public Law Office. He quit on 31 March, 2017 after two years service at the office. 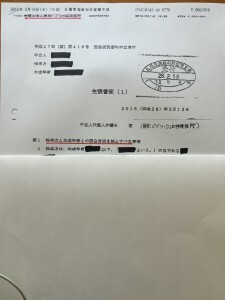 For details, please check this page “Toshiteru Shibaike – An attorney who bans the visitation between an innocent father and a child“. This attorney made an allegation to ban visitation between an innocent father and a child as shown in the picture below. This child, abused by his mother, sent SOS signals to his father. 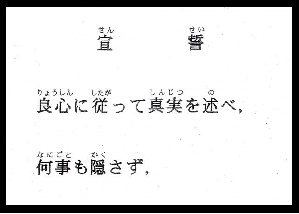 Toshiteru Shibaike ignored these emergent signals and tried to cut off the bond between the father and the child. The child, escaped from the abusing mother, returned to his father’s place by himself. Parental custody has been approved to the father. 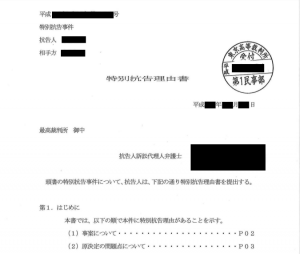 Surprisingly, Toshiteru Shibaike knew this child’s status, ignored the SOS signals and further made this reckless allegation. Toshiteru Shibaike claims himself as a “Hague Authority”. His claims were completely unaccepted by the court. Finally and decisively he was defeated in the parental custody case. 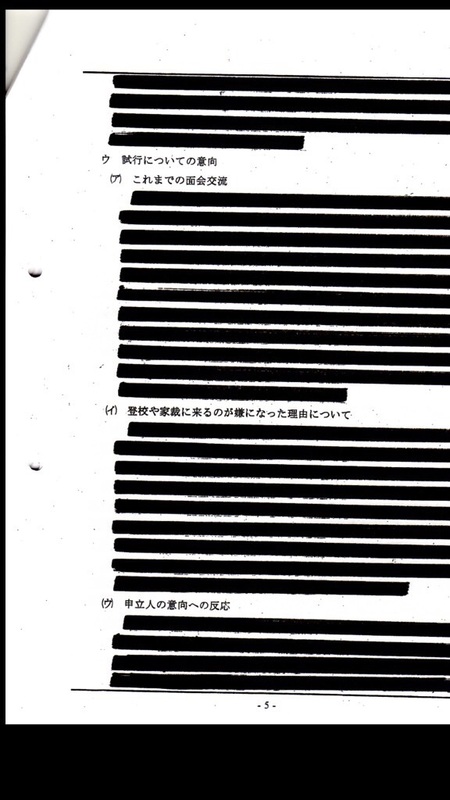 Here is the allegation he made (in Japanese). Please go to the reference page. Some English references are listed. There are three types of supporting FABO. FABO is always seeking “FABO supporters” to expand our activities. Your support is welcome for reuniting family bond.Currently we need FABO supporters writing reports, translation etc. We appreciate your comments, inquiries, requests etc. 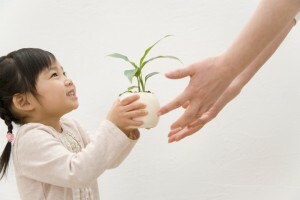 on parental child abduction and on the operation of family courts in Japan. We have seen so many parents, including non-Japanese parents, committed suicide because of the “legal” separation from the children by the family courts. Thank you very much for your support to protect the family bond.